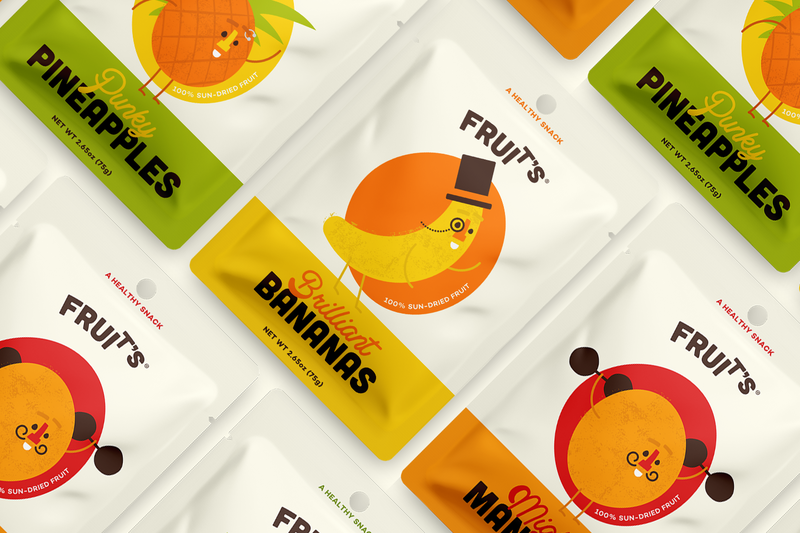 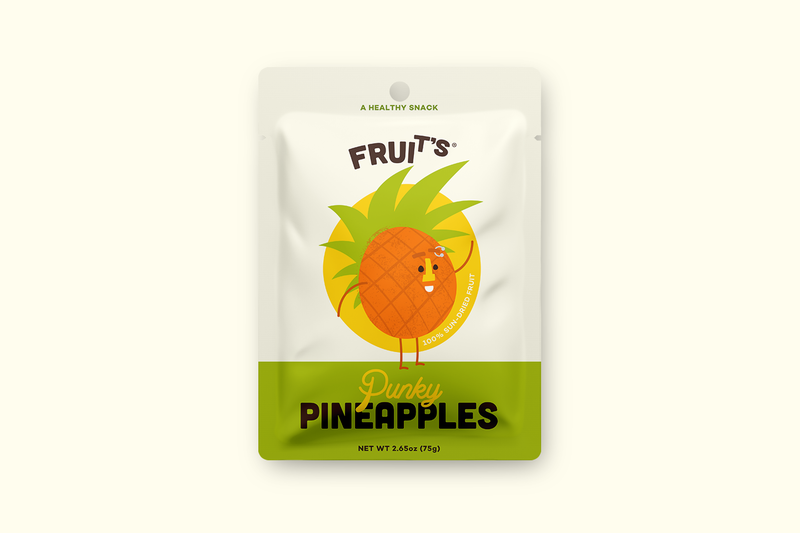 This was a 3 piece series of packaging pitched to a client who wanted to brand/ package their sun-dried fruit produce in Africa. 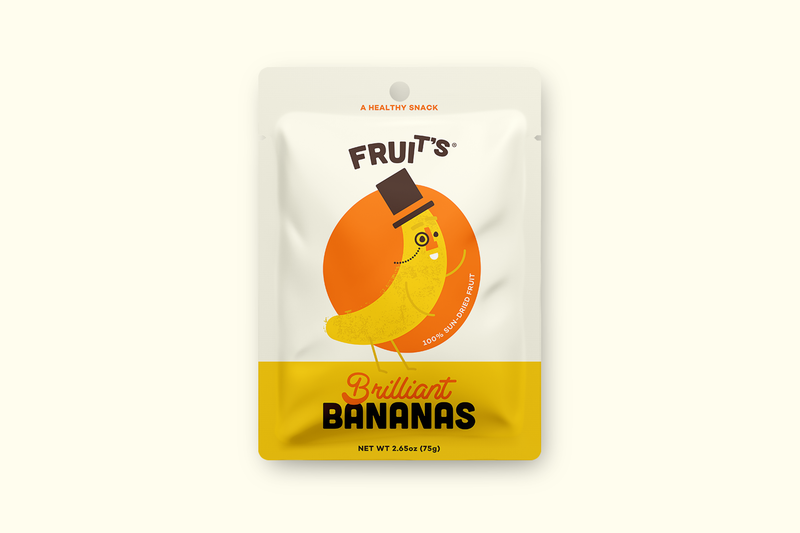 The brief was to create something fun that would appeal to kids to encourage them to eat Frui T's as part of a healthy balanced diet. As they were very keen on the look of Urban Fruit & Bear Fruit I created 3 fun characters to be used with the ability to apply the iconic Frui T's face to any other fruit & vegetable should they create more in the future. 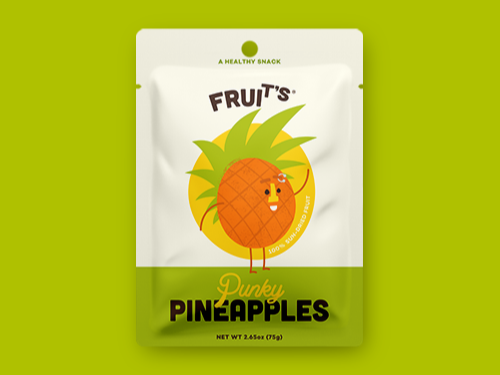 Unfortunately the client never took the design, nor name forward so it is all currently up for grabs.